"Who doesn't want to spend their nights swathed in soft, breathable cotton? I think the answer to that is: nobody. Especially if that cotton happens to be fashioned into a handsome pyjama set. A pyjama set that, in my humble view, also makes a cracking gift." 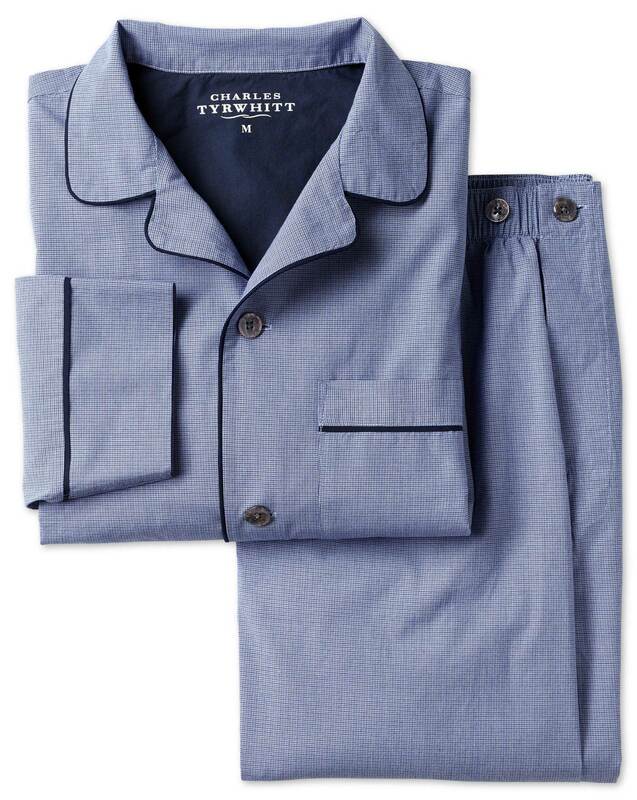 "The very finest cotton poplin makes these pyjamas wonderfully soft." Love the quality and smart appearance of these pyjamas. Ideal for my stay in hospital. Very comfortable too. Prompt delivery - very efficient. Thank you. Response from Charles Tyrwhitt: It's disappointing to hear the quality of this product isn't as you expected. I can organise for a replacement order to be made for you and I will organise for this to be quality checked before it is dispatched. Please, confirm if this is something you would like.